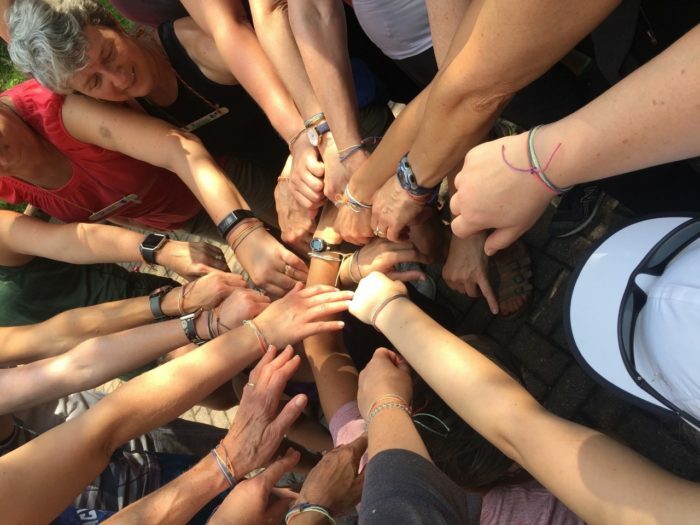 Claudine Grunenwald Kirschner is back to join us for her third year facilitating Women in the Wild at the Cuyahoga Valley Environmental Education Center in Cuyahoga Valley National Park. This mini-retreat is a time to celebrate with important women in your life! Mothers, daughters, sisters, aunts, nieces, and friends can relax, create, and explore Cuyahoga Valley National Park together. Time will be spent in nature, reflection and creating beautiful and reflective keepsakes. With a passion for helping others, exploring authentic lives, delving into meaningful reflection, and nurturing creativity, she welcomes all types of women to join her in this retreat. Claudine writes, hikes, creates and lives with her family near Cuyahoga Valley National Park. Learn more about Claudine, the founder of Vibrant Living and Leadership (www.growingvibrant.com), through her story on Instagram at @becomingclaudine. The Cuyahoga Valley Environmental Education Center is a 500-acre private campus. You will be staying in our historic Lipscomb dorm building, which is heated and air-conditioned. Shared rooms vary in size with a number of twin beds for your comfort. There are spacious and modern restroom facilities, private showers, and community rooms for lounging.